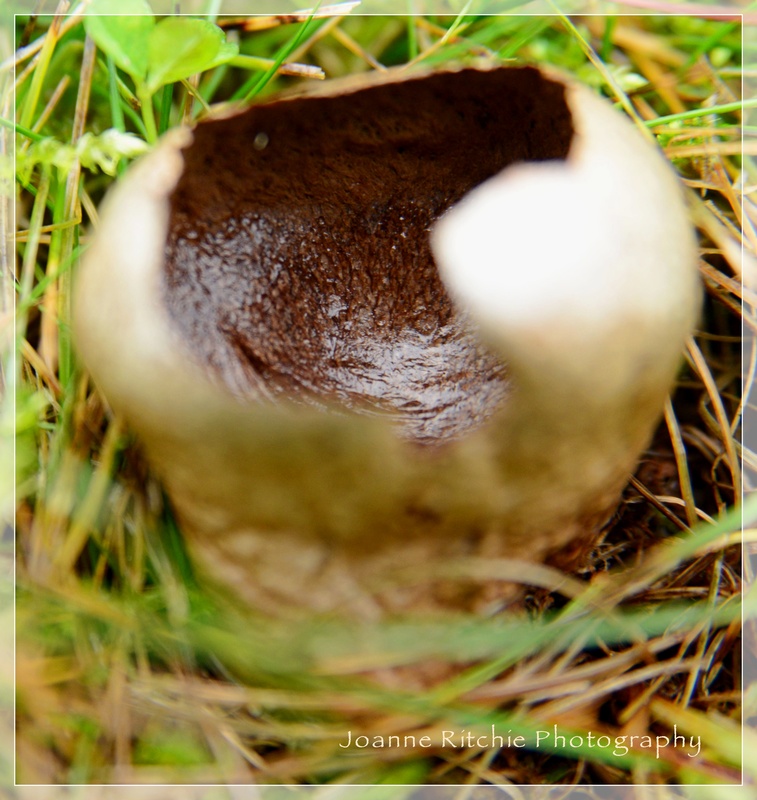 Egg-stra Special Mushroom (Macro Mushroom) | Coffee fuels my photography! When I was out one morning last month in search of the last remaining balls of dandelion wishes, this mushroom had me looking twice. It caught my eye as for the briefest of moments the glistening brown of its insides reminded me of a gum leaf after a rain storm. As I said, just for the briefest of moments. When I looked again it had me wondering if it was perhaps an egg. Closer inspection revealed it was yet another fabulously different mushroom. What can I say, I’m lovin’ autumn this year! Gah!! you dug up a smurf home lol! No I resisted the temptation – how could I turn smurfs out into the cold at this time of the year, seriously? !